Tersus David RTK. Photo: Tersus GNSS. Tersus GNSS, Inc., a GNSS RTK manufacturing company based in Shanghai, China, launched its proprietary Real Time Kinematic (RTK) technology and integrated solutions, the Tersus David RTK box as well as the Precis GNSS Boards & Receivers, last week at InterGEO 2017 in Berlin. Users can now have the ability to get centimeter-level positioning accuracy and flexible connectivity for applications, according to the company. 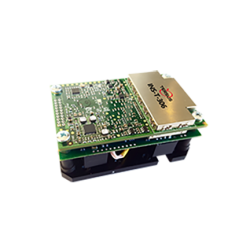 Tersus David RTK is an RTK solution designed for centimeter-level accuracy using a smartphone — by plugging into the phone with a USB cable, The Tersus David turns your phone into an RTK rover, GIS collector, RTK base, and more. It supports GPS L1/L2, BeiDou B1/B2, and GLONASS G1/G2, and its rugged design makes it fit in harsh environments. The Precis GNSS Boards showcased at InterGEO, which integrate centimeter-level RTK, demonstrate a complete multi-constellation and multi-frequency positioning choice for customers in surveying, GIS, UAVs, and precision agriculture. The Precis boards show how they can fully customize RTK technology for a variety of high-precision usage scenarios. “The mission and passion of Tersus have always been to put customers first during our research and development cycle to improve the positioning accuracy and to bring customers’ applications great success,” said Mr. Xiaohua Wen, CEO of Tersus GNSS. In addition to the GNSS RTK solutions, Tersus has expanded its comprehensive portfolio of solutions to include NeoRTK and MatrixRTK. The rover package of NeoRTK also comes with a handheld PDA to maximize ease of use, while MatrixRTK offers another type of GNSS RTK system. With a choke ring antenna, MatrixRTK can improve the capability of anti-jamming and output high-quality RTK corrections, which is an ideal solution for Continuously Operating Reference Station (CORS). 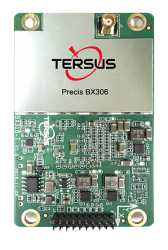 Earlier this year, Tersus GNSS launched its new GNSS Post-Processing Kinematic (PPK) Board, the Precis-BX316R.